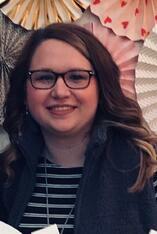 Please join us in celebrating Mallory Knowlton, Patient Care Coordinator Assistant at Health and Wellness Center in Stigler, OK. Mallory is Equiscript's Site Champion Spotlight for March! Health and Wellness Center, Inc. is a medical group with eight practice locations in the eastern Oklahoma region offering medical, dental, pharmacy, optometry, and behavioral health services. Mallory has been with Health and Wellness Center for the last six years and said, "I know the heart of this company is to truly impact not only the health of our patients but their lives outside the four walls of our clinics. That's what makes this the best place in the world to clock in every day." For the Equiscript program to be successful, it needs people like Mallory who understand the benefits the program provides to the health center, and more importantly, to the patients. "The home delivery pharmacy is one of our most valuable resources," said Mallory. "Knowing your patient is going to get the medications they need even when they don't have gas money to make it to the pharmacy, or they're too sick to leave home is something you can't put a monetary value on. It changes the lives and health of our patients drastically!" Patients of federally qualified health centers (FQHC) like Health and Wellness Center face many obstacles, both physical and financial, when receiving care. Based in rural Oklahoma means that many of Health and Wellness Center's patients experience barriers in transportation to- and from- their sources of healthcare. "It’s so hard in a rural area for patients to get to the clinics, then the pharmacies and back home because of how many miles they may have to travel to hit all of those places in one trip. Knowing we can get their medications mailed to them where all they have to worry about is the office visit is a blessing," said Mallory. Equiscript Account Manager, Tiffany Green, and Client Relationship Manager, Brandy Johnson, work directly with Mallory and her team. Tiffany Green said, "Mallory is hard working, passionate, and a team player! She is such a great advocate for the program." Brandy added, "Mallory has been a joy to work with since day one. She has terrific communication with our Equiscript team, as well as Health & Wellness providers and team. Her responses are speedy, and she always calls with any additional questions. Not to mention, Mallory has the best jokes every time we talk! Thank you, Mallory, for being such a pleasant and hardworking site champion." Site Champions help to ensure that patients get the best quality service, and that they get their medications when they need them - which keeps patients happier, healthier, and more compliant with their healthcare. Thank you, Mallory, for being a top-notch Site Champion!